(P1) Oktoberfest is a beer festival. It takes place in Munich, Germany. Six million people come to the festival every year. This year, there is more security. People check visitors’ bags. (P2) The festival takes two weeks. Many people wear traditional German clothing. The dresses are called dirndls. The long shorts are called lederhosen. (P3) People drink beer from steins. The stein is a big beer mug. One stein holds a liter of beer. People drank 7.3 million liters of beer at the festival last year. Are there festivals in your country? If so, describe one. Does your country have traditional clothes? If so, describe them. Would you like to go to the Oktoberfest? Why or why not? 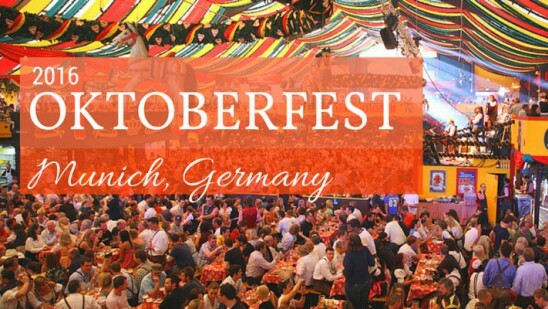 What type of festival is the Oktoberfest? How many people go the festival? What to people drink beer from? How much beer did people drink last year?